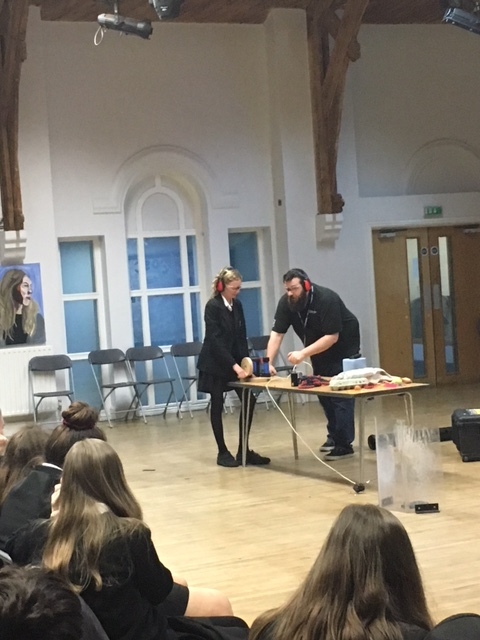 Some of our Year 9 students had the opportunity to attend a presentation by The Royal Institute about Energy and the different stores of energy. 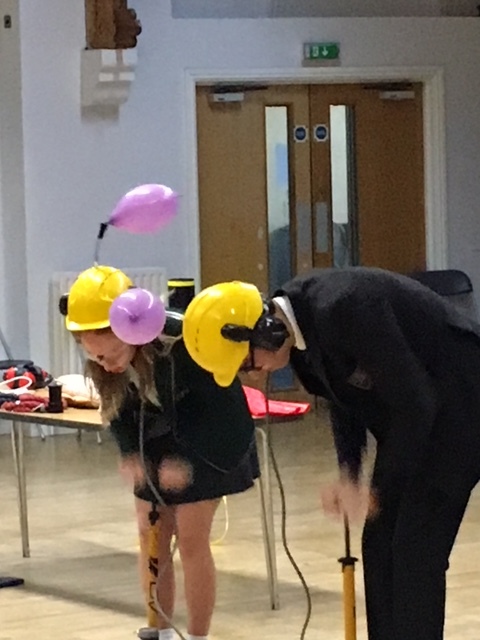 They were able to take part in various demonstrations that highlighted how energy can be defined as 'the ability to do work' and the 'work' that they observed was either heating something up or making it move using the different stores. They were able to see how energy cannot be created or destroyed and that ultimately all energy comes from the sun. 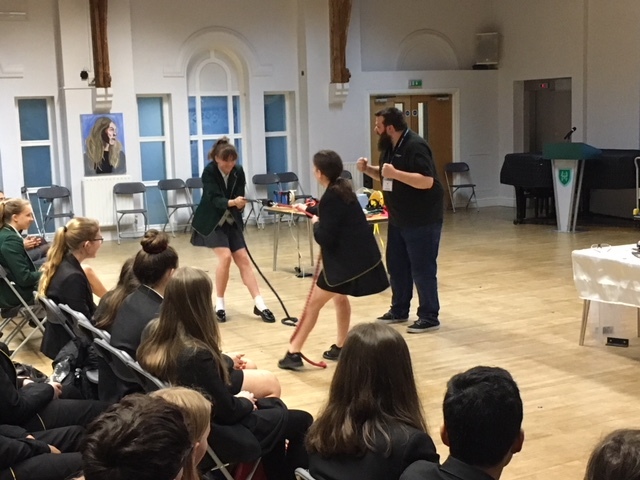 The students really enjoyed the presentation and were very keen to get involved as can be seen in some of the pictures below. 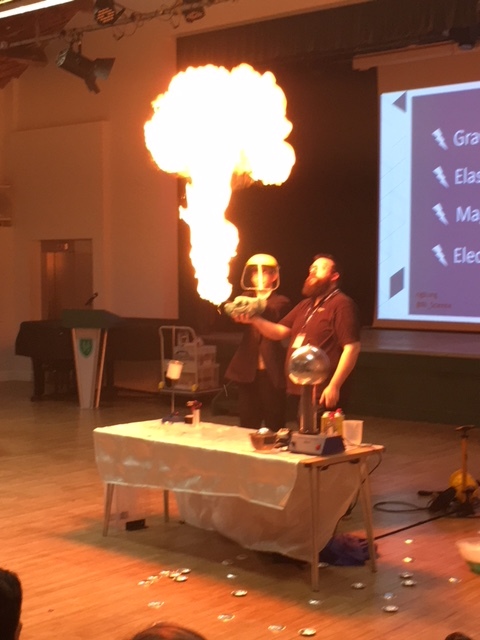 Thank you to the volunteers and to Surbiton High for inviting us along to this exciting and interesting presentation.